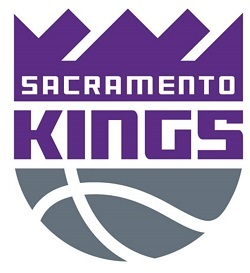 The Sacramento Kings Capitalize startup contest has returned for a fourth year and will continue to identify and showcase local entrepreneurs and innovators of the Sacramento region. Capitalize extends the Kings’ commitment to the community by providing an opportunity for innovators to showcase new products and services on the NBA’s global stage. The application period will open from February 11-24 for companies to submit their business ideas. On February 25, the Sweet 16 will be notified that they have advanced onto the next round. The Kings will host a Pitch Workshop on February 26 and a Pitch Coaching session on March 5 to help companies solidify their pitches. On March 6, the 16 companies will then have a brief “elevator pitch” and interview to decide the 8 semi-finalists for Pitch Day. At Pitch Day on March 18, a panel of successful entrepreneurs, executives and investors will judge the 8 semifinalists’ pitches and select four companies to move on to the Capitalize Finals. The remaining four companies will create pitch videos which will be shown on the Capitalize website, starting March 25. At that time, fan voting will open via Twitter and fans will have the opportunity to be a judge by tweeting their support for their favorite company. The winner of the fan vote will receive one additional judge vote to help determine this year’s Capitalize winner. The final four companies will join the Kings at Golden 1 Center for their Tech Night game on April 4 where Kings fans in the arena will see the pitch videos on the 4K screen and place final votes for their company on Twitter, with fan voting ending at halftime. The judges will tally their final votes along with the fan vote and the Capitalize Grand Prize winner will be announced during the game. The winning company will receive a $10,000 prize.